and I imagine Heather’s two cuties say it a lot too. Especially if they get to eat her treats. Like the ones I chose to make for Secret Recipe Club. and as usual it wasn’t easy making a choice. The day I started reading through Heather’s blog is was chilly outside so soup sounded perfect. What a delicious way to warm up. Creamy, full of flavor with all the garlic, parsley, and thyme. And so colorful. Saute the onion, garlic, and celery in the butter and olive oil, until onion becomes translucent. Add in your flour and make like a paste or a roux. Stirring constantly, cook the mixture for about a minute and then add in your half and half, seasonings, carrots, and chicken. Let mixture begin to simmer and thicken up. In another pot, cook your gnocchi according to package directions or prepare your homemade gnocchi. Note, if preparing homemade gnocchi for this dish, I would do that before so you don’t have to worry about it at the same time as preparing your soup. As the soup mixture gets thicker, maybe a few minutes of simmering, add in your chicken broth, and let it reduce a few minutes again. Once the gnocchi is ready, add it to the simmering soup, along with your spinach. Cook for a few additional minutes or until the spinach starts to wilt. Serve with a little parmesan cheese on top if you wish. Afterward we needed a litle something sweet. And this Peanut Butter Fudge was just perfect. 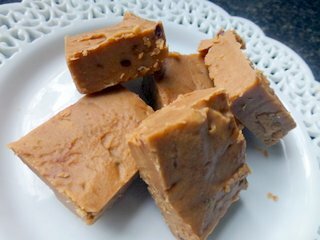 I have been making PB fudge for years. And I have used the same recipe for years. You know the one -with that Puffy White Stuff. Well I am here to tell you this is sooo much better and tons easier to make. In a microwaveable bowl, place butter and peanut butter and cover with plastic wrap. Microwave on high for about 1 1/2- 2 minutes. Next stir mixture and microwave another 2 minutes, mixture will be hot and bubbly! Stir in powdered sugar until smooth. Note the mixture starts to get really thick here! So stir it with some muscle to incorporate the powdered sugar well. Put the fudge into a 9 x 9 pan lined with parchment paper for easier removal. Allow to cool and store in the refrigerator until to cut into pieces and enjoy. Microwave fudge!! This is way too dangerous a recipe to know about. Maybe I shouldn’t share it? 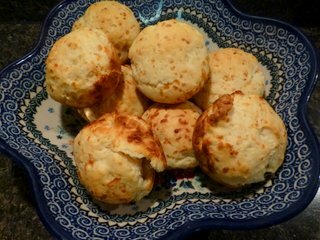 I don’t make biscuits very often (carbs! )(no self control!) but I decided to try Heather’s with the stew the other night. I needed something to soak up all the extra juices. Mix all the dry ingredients together, including the grated cheese. Next add in the shortening. After you incorporate the shortening, add in the half & half. Ordinarily one would drop 1/4 cup of dough onto a greased cookie sheet, but I decided to use a muffin pan which gave me a nice thick biscuit. Heather used Romano or Parmesan cheese. I used the Asiago instead. And you will need more than 1 1/2 cups if you want a stronger cheesy taste. They were perfect with the stew. If you want to find out what else was coming out of the SRC Member's kitchens you need to check out the postings below. I know you will find some great food. And just in case you aren't familiar with Secret Recipe Club it is a great group of bloggers who are assigned a blog. We then make something from their blog and all of us post, or reveal, on the same day. Nobody knows who got who until the reveal. 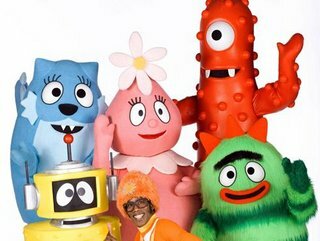 Tons of fun.